Great is the LORD! 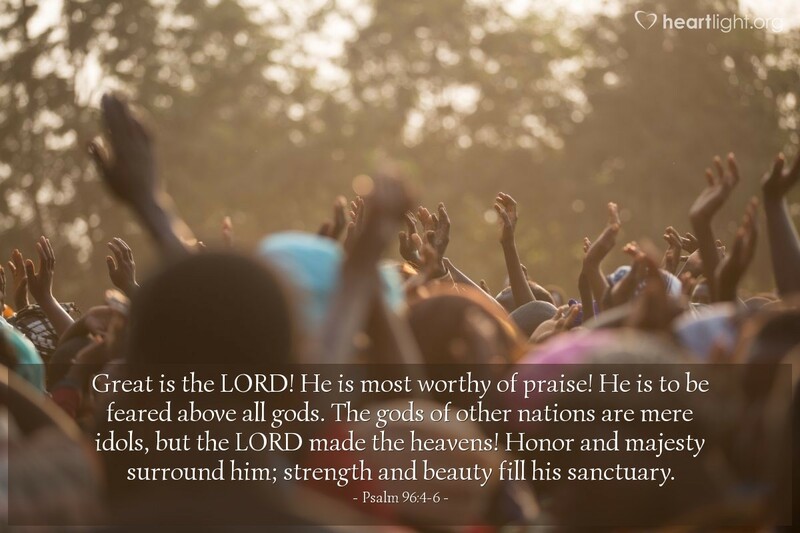 He is most worthy of praise! He is to be feared above all gods. The gods of other nations are mere idols, but the LORD made the heavens! Honor and majesty surround him; strength and beauty fill his sanctuary.